To me, fall and mason jars go hand in hand. They are two of my favorite things and together– they’re amazing! 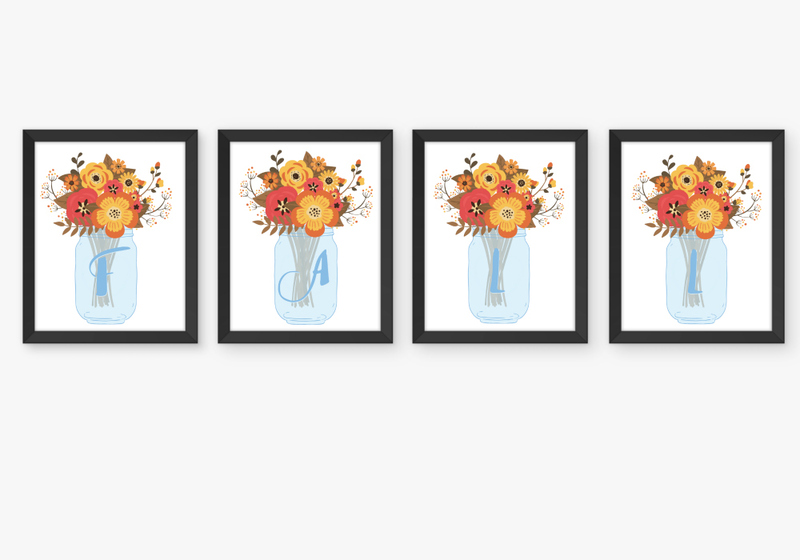 A couple of days ago, I shared some free printable Fall Mason Jar Art, and today we have the matching Fall Mason Jar Initial Printable Art. I love the colors in this set. You can print out a few to create the words FALL or FAMILY… or just print out single letters… like in my case, “K” for Karlinsky. We’ve got the whole alphabet for you, A-Z. 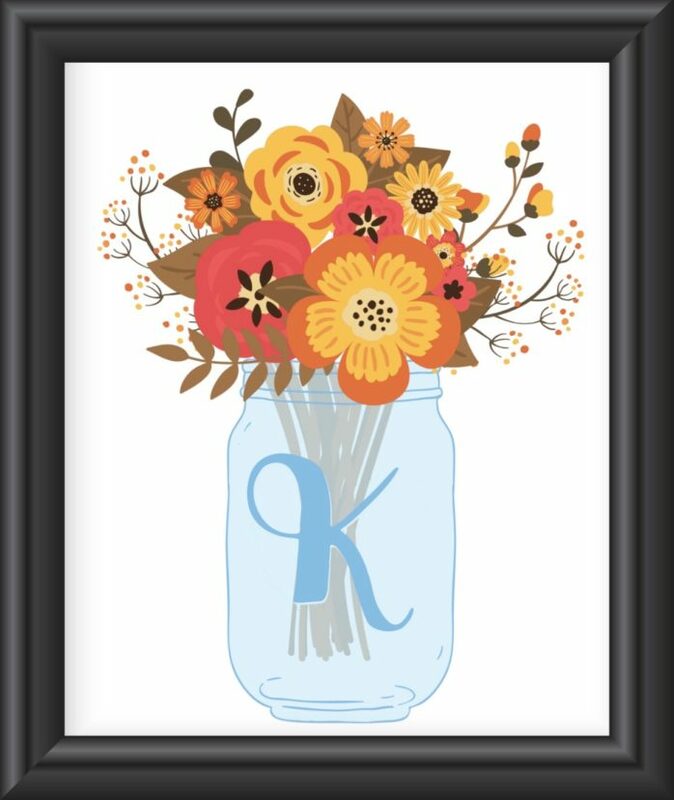 My friends have more wonderful autumn themed mason jar idea for you!